This September, the Edmonton International Film Festival will take place. Hailed as one of North America’s most prestigious film events, the festival will once again celebrate art and cinema from around the world. 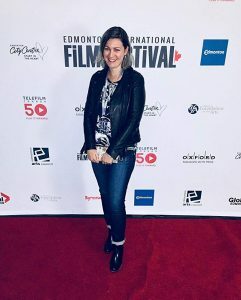 Created with the mission statement “international, independent, and eye-opening,” the Edmonton International Film Festival (EIFF) advocates a healthy film industry by promoting the most excellent films from countries all around the world. The festival is produced by the EIFF Society, a charitable, cultural, and non-profit organization which aims to be an instrument to who people how film can change how they see the world. The home of the festival is in Edmonton, Alberta, Canada. It is the largest city in North America and is located in the heart of the Canadian Prairies, which is a couple of hours away from the world famous Rocky Mountains. Films are screened at the Empire Theatres in the Edmonton City Centre. 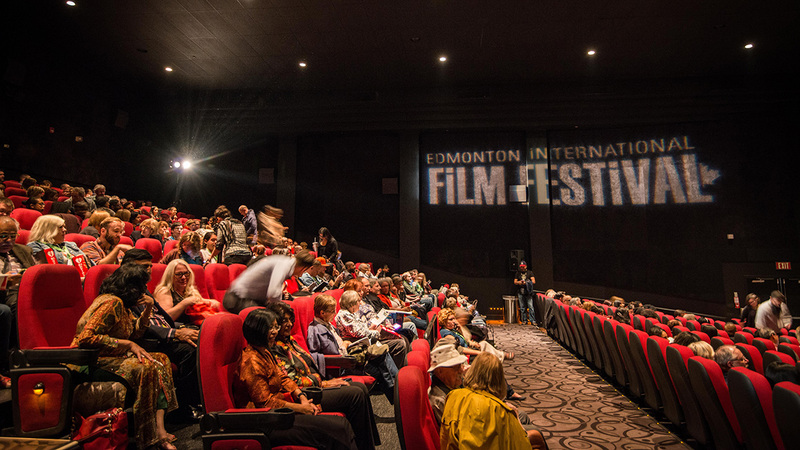 The Edmonton International Film Festival receives over 150 films from 40 countries, both feature-length and short films. The film catalog usually consists of 50 feature-length films and 100 short films, all shown in a program that includes Subway Lunchbox Shorts. Film genres range from documentary, dramatic, independent, comedy, studio, and even gut-wrenching horror films. The festival encourages filmmakers from all over the world to submit films with powerful stories that have the power to move and inspire audiences. The EIFF was recognized by the Academy of Motion Picture Arts and Sciences (AMPAS) as a qualifying festival for the prestigious Academy Awards. Festival winners of the Live Action and Animation Short Film Categories will be eligible for an Oscar nomination. The Edmonton International Film Festival celebrates its 32nd anniversary this year. The festival was proud to reveal the first three films for the official selections with Alberta connections. The films are: “Lake Shore Drive” by Shreela Chakrabartty, “Necessary Evil” by Christopher Donaldson, and “Clara” by Akash Sherman. Other films included in this year’s lineup are yet to be announced. The festival will include all its usual annual events, including the opening and closing night gala and screenings, filmmaker chats, Q&As, and a local filmmaker spotlight. Visit the festival’s official website to check on the schedule of events this year. The festival had its humble beginning back in 1986. It was formerly known as “Local Heroes”, a small, 3-day film festival held in March. In 2003, the festival was renamed the Edmonton International Film Festival and has since developed into be a nine-day film festival every September. The EIFF has slowly gained popularity in the local community and began to get recognition in other countries in the world. The festival was attended by prominent and emerging names in the film industry, includeing Ron Chapman, Rita Chiarelli, Thom Fitzgerald, Paul Gross, Jon Cryer, Norman Jewison, Werner Herzog, Naomi Klein, Avi Lewis, Luke Matheny, Neil Mandt, Deepa Mehta, Jesse James Miller, and many more. From 2015-2017, the Festival was recognized by the MovieMaker Magazine as one of the “50 Festivals Worth the Entry Fee”. International Shorts- This category is the foundation of the festival, where the finest short films for the official competition are entered. World Cinema- The most outstanding independent films from all across the globe are included in this program. Contemporary Independents- The best and the brightest new independent films from all sorts of genre in the United States are entered into this category. This program is also called the American Indie Cinema. Oh, Canada!- Films created by Canadian filmmakers are included in this program. These films vie for the Citytv Canadian Feature Award and the winner is chosen by the festival audience. Our Own Backyard- This film programming consists of feature-length and short films created and produced by Albertans. Audience Choice Award- This is given to either a feature-length or short film chosen by the EIFF audience and is screened during the festival. The Big Daddy: Family Film Award- Selected by the EIFF programming team, the winning film has the most creative and motivating quality that can inspire a positive outlook among the youth of Edmonton. The Wedgie Award for Comedy- This award is given to the best comedy film or comedic actor from all the categories in the festival. The Bobby Award for Excellence in Cinematography- This award is named after Robert “Bob” Riddell, an excellent cinematographer from Edmonton who has contributed so much to the film industry for 50 years. This award is given to the short or feature-length film with the most extraordinary cinematography during the whole festival. 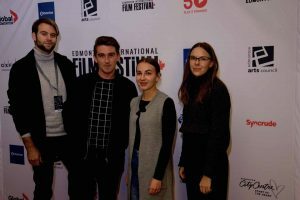 The Edmonton International Film Festival accepts film submissions through the online platforms Withoutabox, FilmFreeway, and Film Festival Life. The festival opens the call for entries every 15th of November each year. The deadline for submission of entries is every 1st of June. We are sad to announce that the call for entries for the 2018 festival has already closed. For more information on the submission categories, fees, rules, and regulations, you can visit the following sites. For all other information about the festival’s film lineup and schedule of events, visit the official website at www.edmontonfilmfest.com. The Edmonton International Film Festival will begin on September 27, 2018, and end on October 6, 2018.